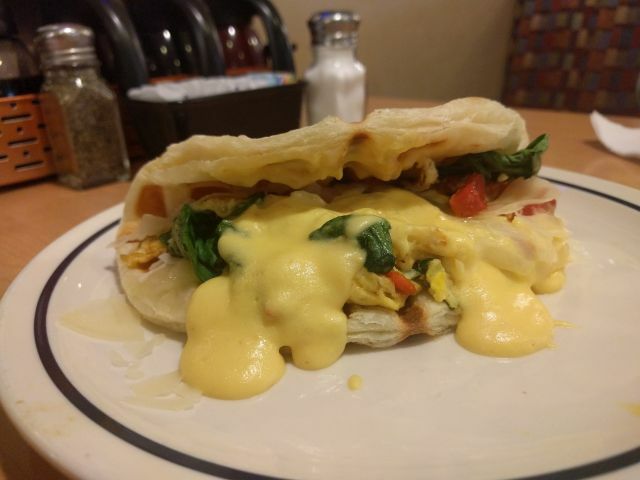 IHOP's Spinach & Roasted Red Pepper Criss-Croissant features scrambled eggs, fresh spinach, and roasted red peppers topped with white cheddar and parmesan cheeses and a drizzle of Hollandaise nestled inside a folded Criss-Croissant. My local IHOP had it at $6.29 a la carte or $7.29 for a combo along with eggs, hash browns, and either sausage or bacon so I paid the extra dollar. 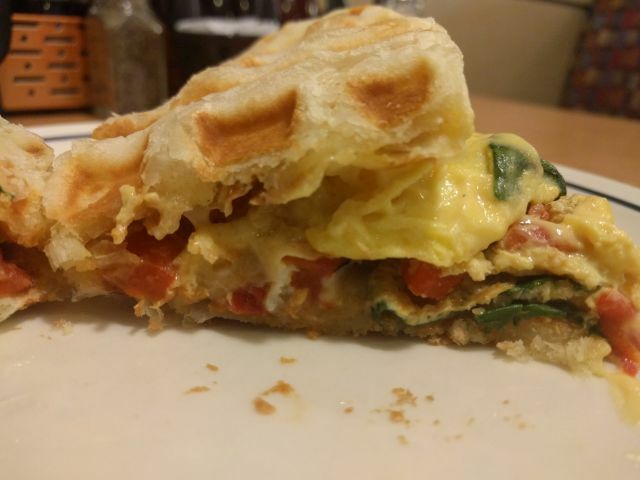 The vegetable, egg, and cheese combination ends up feeling a lot like an omelet with the spinach and peppers providing a mild flavor while the cheeses add a bit of sharpness. The Hollandaise pulled it all together with a savory richness. The Criss-Croissant made the dish feel a bit like an egg sandwich. There's multi-layered crispness to it that's only soft at the very middle. The buttery factor was a little light or maybe overshadowed by the decadence of the Hollandaise. 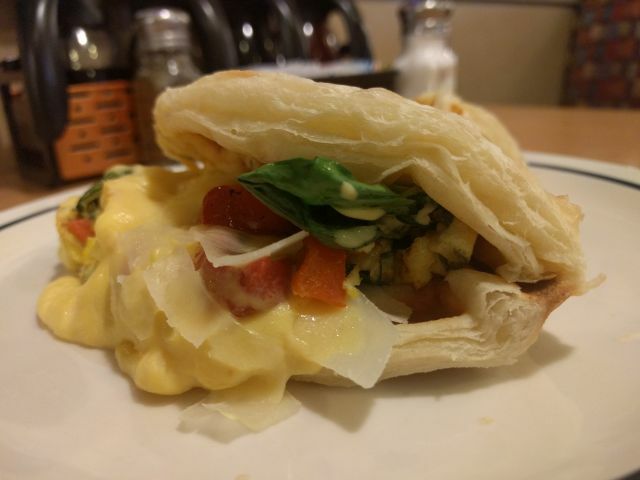 Overall, IHOP's Spinach & Roasted Red Pepper Criss-Croissant made for a rather tasty topped-egg dish but the Criss-Croissant didn't add anything special to the experience and seemed like a crispy stand-in for toast.